One of our five cores values as a business is ‘our actions affect our community’. We are committed to contributing to communities in need and protecting the environment through our day-to-day work. 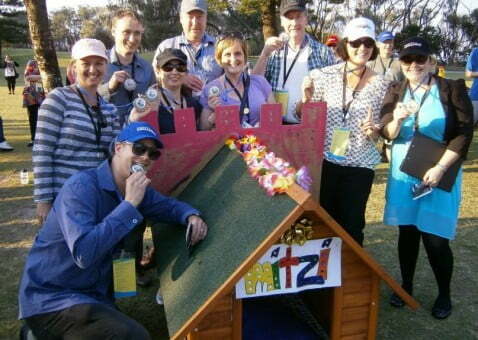 As a leader in team building across Australia, we offer a range of fun and impactful charity-based team building programs for our clients. The programs below have proven to be very popular. If you’d like to make a positive impact to your community, choose from one of the programs below and get in touch with us for a tailor made fun event for your team. 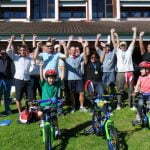 One of the most powerful team building programs is Bikes For Tykes - the original charity bike building program. Teams work through a series of activities with the overall goal to build a bike from scratch and put a smile on an underprivileged child’s face. 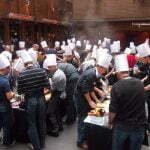 Charity Chef is a powerful team building program where teams design and cook a number of delicious dishes. The reward is the special donation and delivery of these culinary masterpieces to a worthy charity at the conclusion of the event. 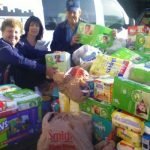 The mission in Fill It is to fill a trailer by a certain time with goods to be donated to charity. Think it’s easy? Think again! 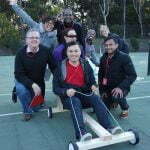 Fill It requires strategising, team work and creative thinking to maximise time and efficiency in filling the trailer. We have all felt the frustration and then the reward of completing a flat pack from scratch. In this team building program with a twist, there will be plenty of fun, hard work and challenges as teams build their very own flat packs. The goal in Give A Dog A Home is to design, build and present an award-winning dog kennel. The ultimate reward is the donation of these kennels to an animal charity including a visit from some furry friends themselves. This is your chance to be a F1 technician for a day and build the ultimate racing kart. 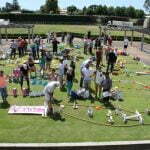 Karts for Hearts is a fun team building program with the objective to earn equipment and resources to build, decorate and market a billy kart. In the only charity program of its kind, a special Distraction Box is filled with highly researched and attention-diverting items for kids in hospital. 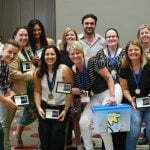 Out Of The Box brings those items to life in a fun and engaging team program for adults. 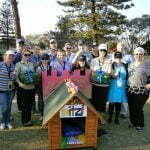 Does your organisation have people that will do anything for a sneaky nine holes while others find that boring or difficult? Well now you can cater for both in a fun and empowering charity program called Par For A Cause. An ability to sell ice to Eskimos is an important talent in this team building event. 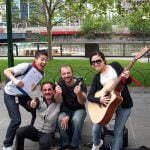 Play It Forward will stretch comfort zones as participants pursue financial success through creative engagement with the general public. Which team has the innovators, planners and presenters to successfully emerge from the Shark Tank? 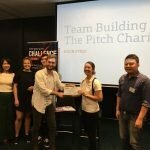 The Pitch will combine the creative flair and business acumen of all participants as they work in teams to create, plan and pitch a fundraising event for charity. You are never too old for toys! 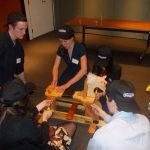 Teams will work strategically to build a children’s wooden toy from scratch. It will be a challenge but seeing the smile on the face of the disadvantaged child who receives it makes it all worthwhile.